When life gets too complicated, let’s ski! Skiing is exhilarating and lots of fun — an exciting change from daily routines and pressures. It’s something that almost everyone can do. With a little practice, new skiers can get better and experienced skiers can go on to more challenging slopes. People who love to ski also love the challenge and sense of accomplishment skiing offers. And skiing is getting even more fun with technology. Track yourself, record your friends, and rock on the slopes with these cutting-edge toys. Are you ready? The new Forcite Alpine features an HD camera with OLED fog lights, speakers, impact sensors, and a microcomputer inside. You are now able to capture 1080p video at 120 fps with image stabilization or even slow motion videos. A wide-angle lens featuring 160 degree field-of-view is also included. By detecting intense impacts, this helmet will decide to emit an emergency beacon, which then will send out your GPS location to your friends or family. There is also a microphone that uses WiFi and Bluetooth to let you chit-chat with people while enjoying the snow. If you like music, the helmet will pull up the music from your smartphone and play it immediately. Each Forcite Helmet is powered with an impact-resistant lithium-polymer battery, lasting more than 6 to 8 hours of operation. The product will come in 32gb, 64gb and 128GB options. Messing around the mountain to make fresh tracks might not wear out your personal batteries, but not your phone. 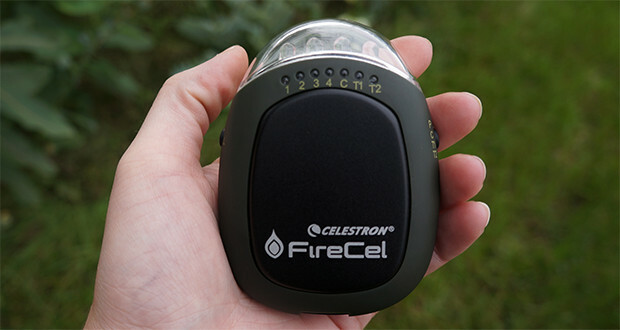 FireCel Plus is the ultimate multipurpose device for the outdoorsman. It’s a 3-in-1 tool featuring a hand warmer, a multi-mode flashlight, and a portable power supply for smartphones and personal electronics. This large capacity 5200 mAh rechargeable lithium ion battery charges smartphones, MP3 players, cameras, and many other USB-powered devices. Bright red and white LED flashlight with 5 modes: red light only, white light only, red light blinking, white light blinking, and SOS. It’s made from high-quality aluminum shell and compact enough to fit in your pocket or glove. It’s hard to look up timing while you’re skiing, and this new generation Swiss-made watch that combines time and activity tracking is what you need. Designed in Paris, Activité is manufactured with great care in Switzerland using exclusive watch materials and bears the precious Swiss Made label. It fuels your healthy motivation by tracking all your movements and keeping you informed at all times with the HealthMate app to develop your global wellness. 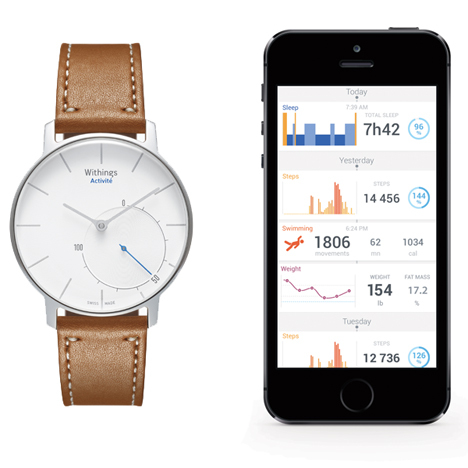 A built-in GPS maps your location, as well as instantly adjusts to the corresponding time zone. It’s also able to identify and log your swimming workout, wake you up in the morning, and draw a detailed picture of your night. Who is going to ski without gloves? 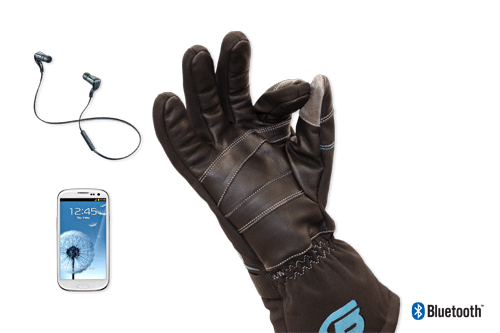 BearTek Gloves are the evolution of the glove: the gloves work with two interchangeable modules: the patent-pending Bluetooth/Wireless Sync Module technology and the Camera Module, designed for use with GoPro cameras. With just one touch on the gloves, you’re now hand-freely controlling your phone, music, media and camera — letting you answer calls, play/pause and skip music tracks, and capture your ride in video or photos — all while simultaneously providing warmth. 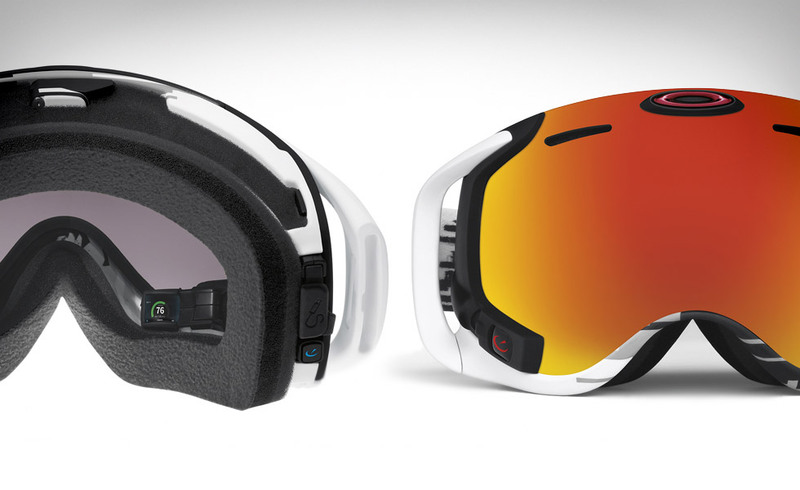 A $649 goggle is quite expensive, but what it delivers to you is amazing. 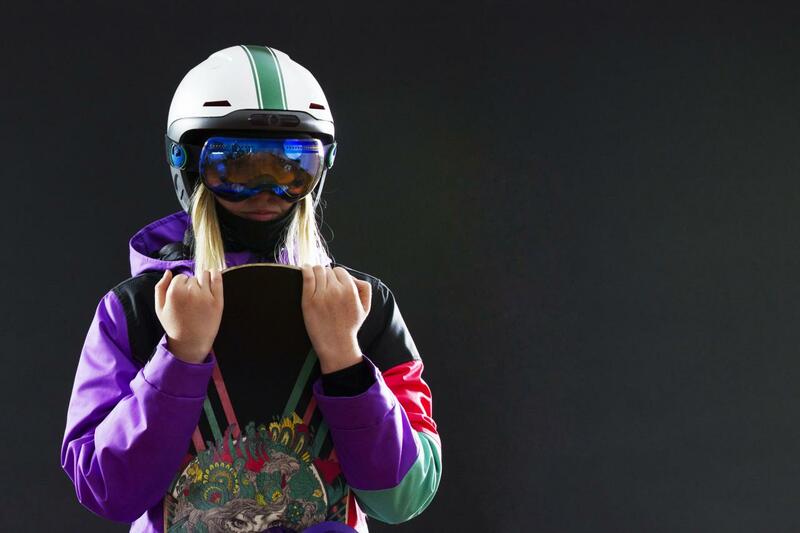 Airwave takes Oakley goggle design and technology to the next level with a built-in heads-up display that integrates GPS, Bluetooth and more. Onboard sensors give you instant access to jump analytics that show distance, height and airtime. There’s even so much more: preloaded maps, music playlist control, buddy tracking, and so on. What a mobile dashboard! I know ski geeks carry a lot of stuff with them all the time. 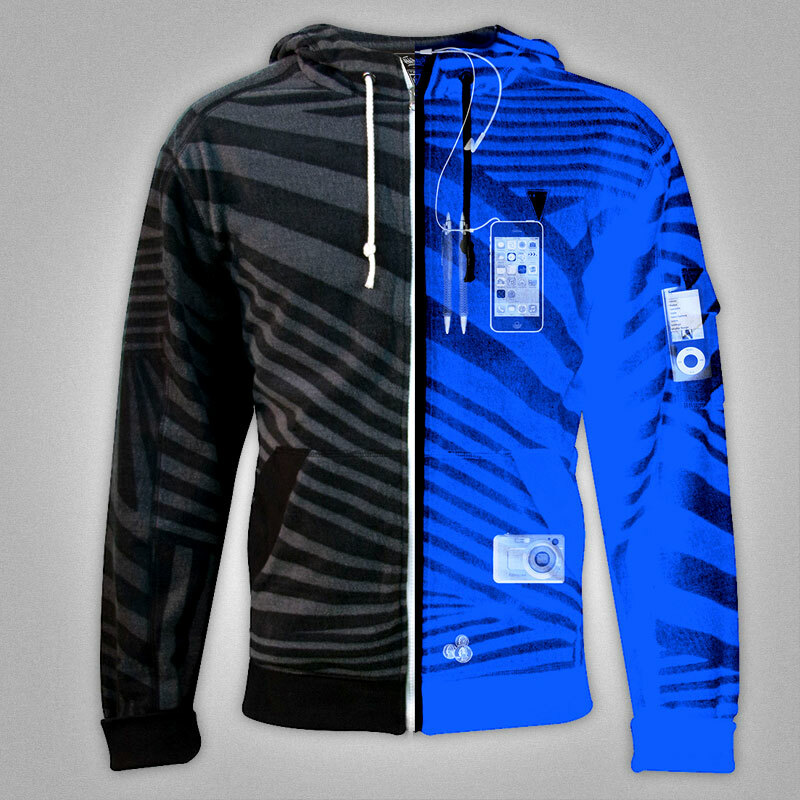 And, therefore, you will love this 13-pocket spread of this hoodie. It’s designed for the electronically-connected, on-the-go/in-the-know nomads. Made from microfleece, this hoodie includes Two PadPockets – large enough to hold an iPad, two handwarmer pockets, two pen pockets and the patented Personal Area Network to run headphone wires from pockets on the inside of the jacket. Now, keep calm and wait for snow!